Note to self: Do not compile Jimmies post without first taking painkillers for bandy back... Addendum to note to self: Publish 'em regardless. 5. 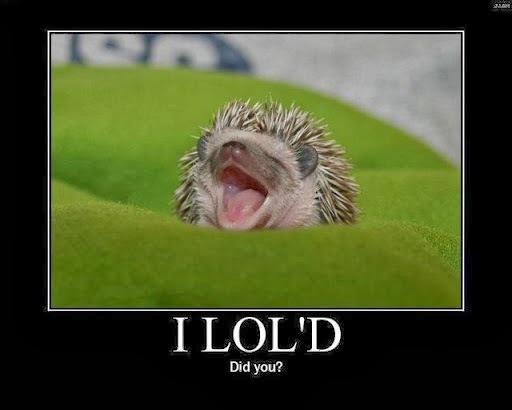 People that Instagram pictures from Pinterest pretending that they're their own! 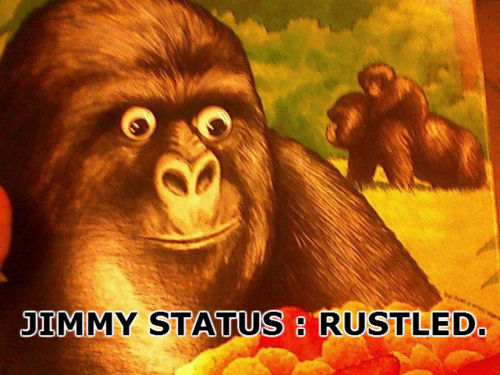 As enraged as I was 10 minutes ago, now I'm chuckling again at these Gifs - tell me, what's been rustling your Jimmies this week, it really does help to share! 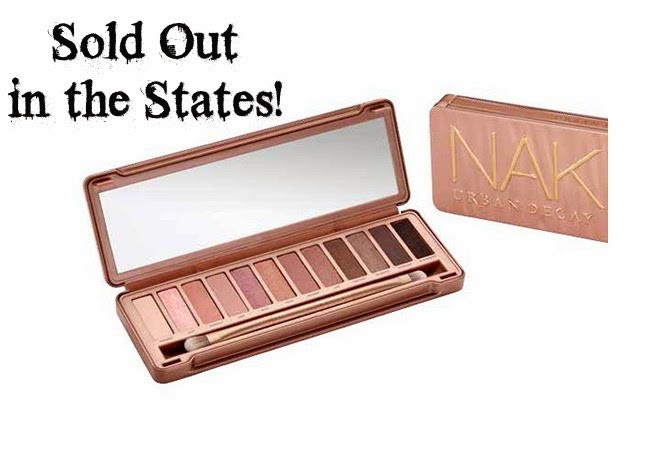 Just a quick heads up, beauty lovers but if rumours are to be believed Naked 3 has already sold out in the States! According to The Cut demand was so great State side that Urban Decay was selling one palette per second! That's pretty phenomenal. There are a couple of UK sites (that deliver to Ireland) that are now allowing pre-ordering and promising to to have the rose tinted palette in your hands by Dec 21st. One of which is Look Fantastic, they're also offering 10% off the price of €45.89. You'll find the pre-order page here but my advice, if you want this palette, be quick. I'm meeting with the brand next week so will have swatches and pictures up as soon as is humanly possible but if you're looking for the gift that not everyone will have this holiday season, my money is on the hot cake that is Naked 3. Boots No7 Advanced Renewal Anti-Aging Glycolic Peel Kit is probably one of the biggest surprises for me from the No7 range of late. Having tried the No7 Beautiful Skin Pore Vacuum Mask to disastrous flaming skinned end, I was more than a little hesitant to try this peel. Now having used it for a month, I've already ordered a replacement. It's that good. This three step system starts with the gycolic peel itself (you get 8 of these). The tiny vial packs a real punch containing 10% glycolic acid and 0.5% glucono delta lactone. Using this on a cotton pad and swiping all over your face and neck, there's more than enough in each dose. 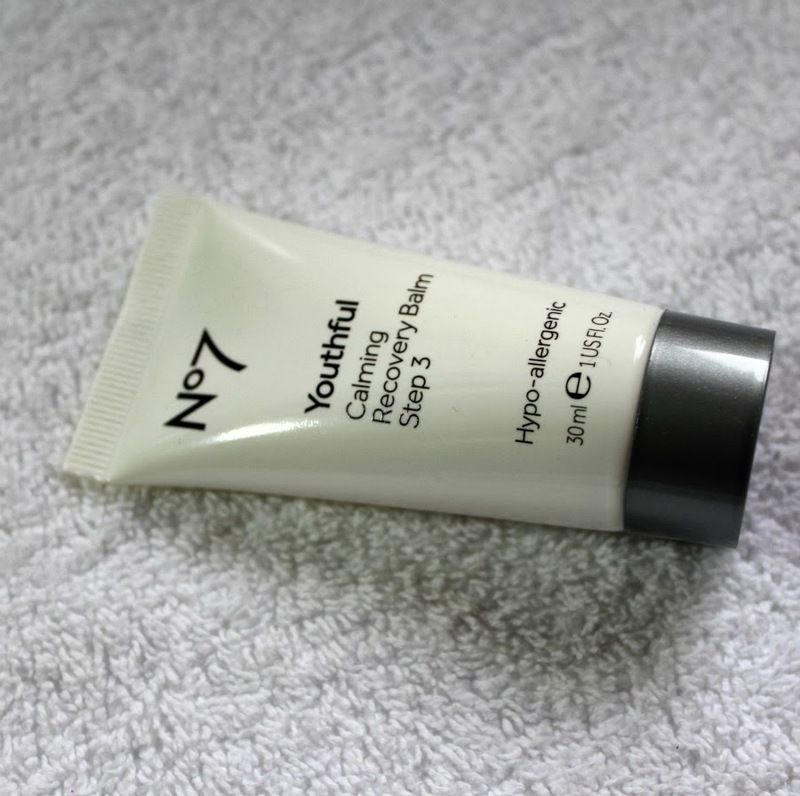 Given 10 minutes to work this gel works, without any tingling or stinging, to slough off dead skin cells and reveal the newer cells beneath. 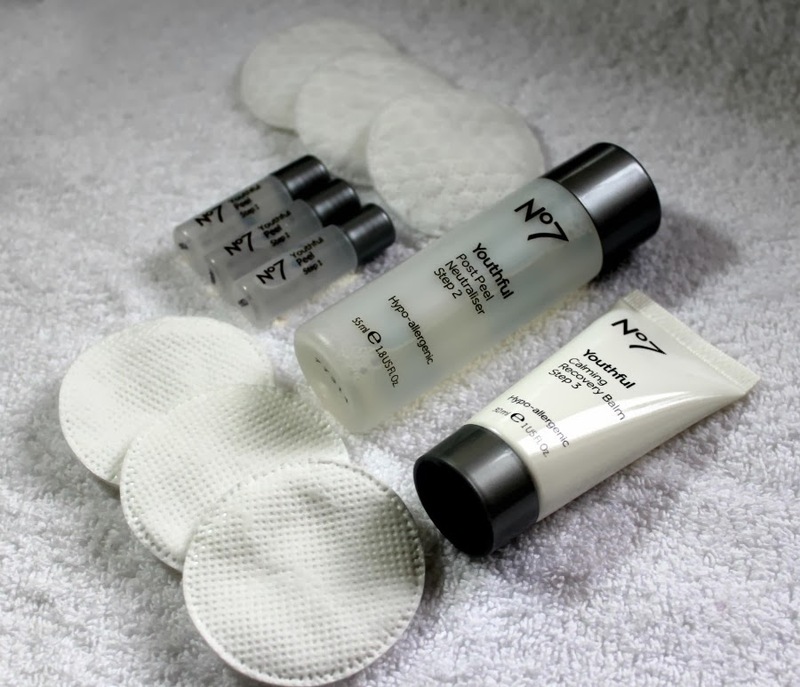 With glycerin and pro-vitamin B5 the Post Peel Neutraliser works to instantly stop the effects of the active glycolic peel. This unscented liquid spreads quickly and easily and again, doesn't sting the skin, a quick splash of cold water to rinse the lot and you're ready for recovery. The Calming Recovery Balm with a blend of emollients, ceramides and shea butter with white lupin peptides and extracts of liquorice and chestnut smells and feels beautiful on the skin. This balm genuinely belies the puny price tag and could stand alone as a great little product for refreshing and brightening the skin. I've been using this Youthful Peel twice a week for the past four weeks and yes, I can see a difference. The tiny raised lumps (thanks KP!) 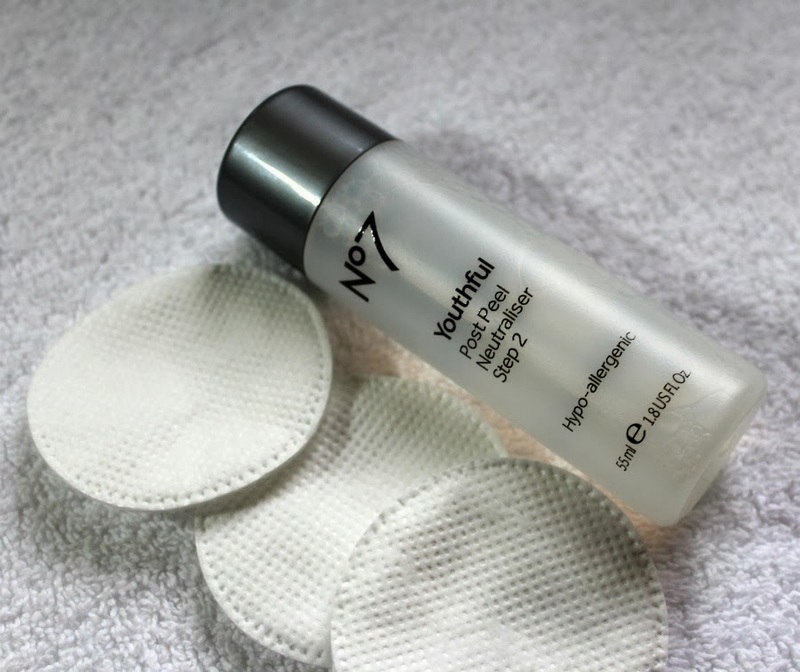 on my jawline have all but disappeared, my pores appear smaller and skin just feels better. 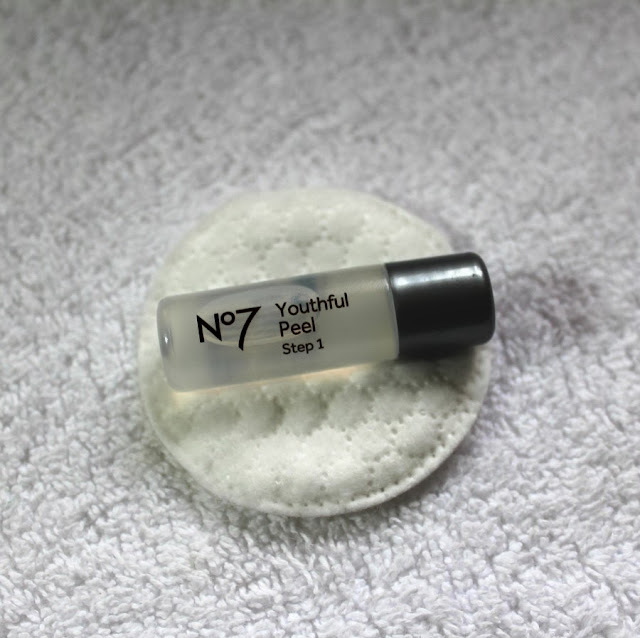 While marketed to give 'Fast Anti-Aging Results' this peel does work fast but it's not going to get rid of wrinkles or even Crow's feet, no topical cream or peel will ever do that (for now anyway) but as a refreshing, brightening and softening peel that shows true radiance in your skin the No7 Youthful Glycolic Peel Kit for just €20 per month is a winner. I've long avoided overly large palettes and collections that tend to come out at this time of year, I think it's a subliminal thing harking back to the bajillion play palettes and plastic lipstick pencils that popped apart for each one inch abysmal lip offering of my teenage Christmases past. 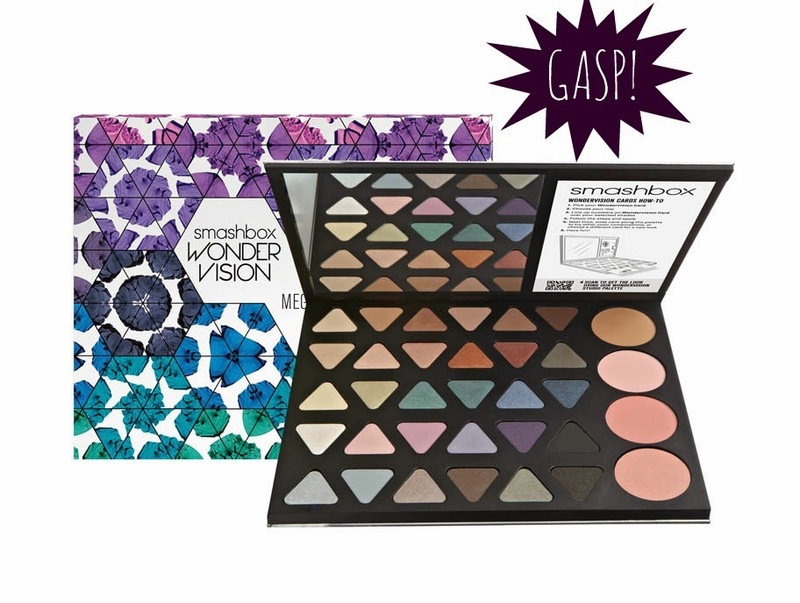 That was until I clapped eyes on the Smashbox Wondervision Mega Palette at a recent Smashbox press meeting. Holy Actual Moly this thing is good. Being an avid lover of Smashbox shadows and long time advocate for the brand, I knew before even touching these rainbow coloured beauties that they'd be soft as butter, deeply pigmented and just begging to be used. I wasn't wrong. The top two rows start off with barely there colours, ideal for buffing work and escalate to golds, coppers and several shades of taupe and brown. The next two rows contain almost the entire green/blue, pink/purple spectrum with the shade furthest right on top there being an incredible velvety soft MAC Club dupe. The final row presents richly pigmented jewel toned neutrals. Usually with shadow this rich you'll find a lot of fall out with the microglitter it takes to give this vibrant colour payoff - not so with Smashbox. There's not an eye in Ireland that wouldn't be flattered with one or all of these shades. The final swatch is of the 3 intense blushes, 2 mattes and 1 microglitter (again soft to the touch) and a coppery brown matte bronzer. 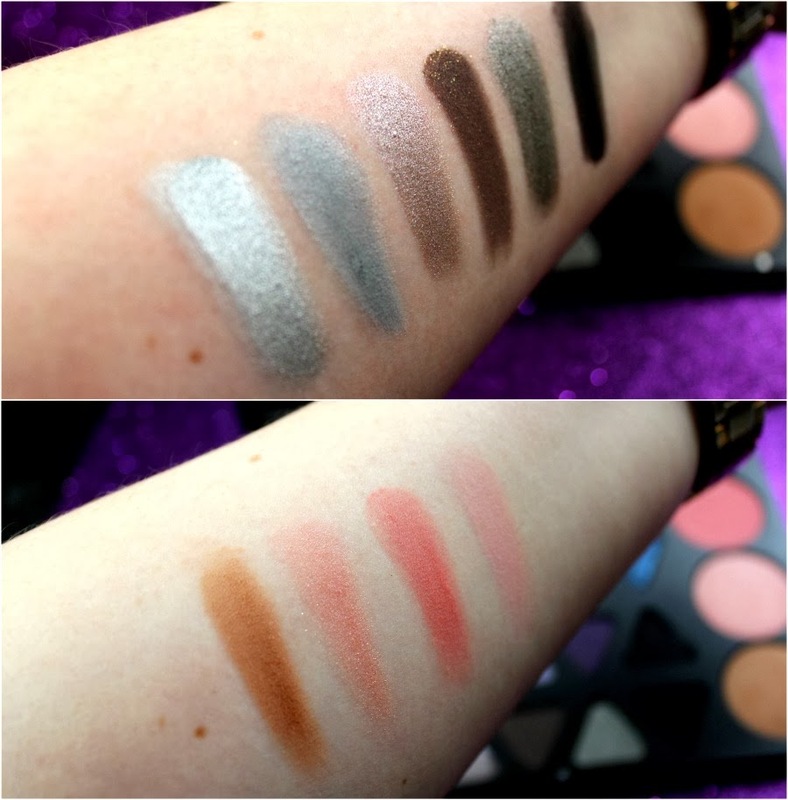 Colours again are saturated and the longevity with these is just as I've come to expect with Smashbox blushes - ace. 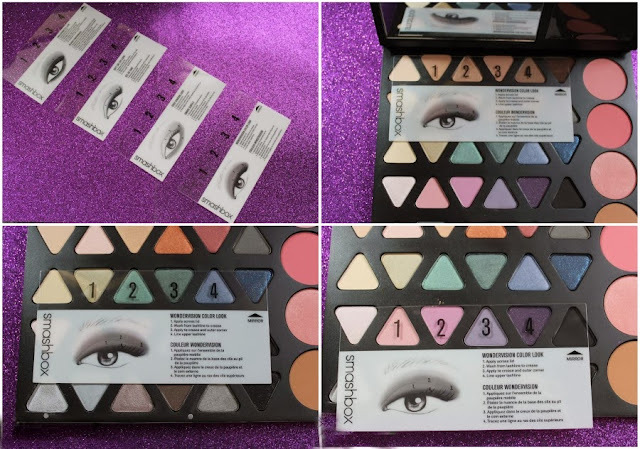 Using tutorial cards to highlight 4 key looks, you simply place the clear plastic over your chosen shadows for a simple step by step - clever, huh? 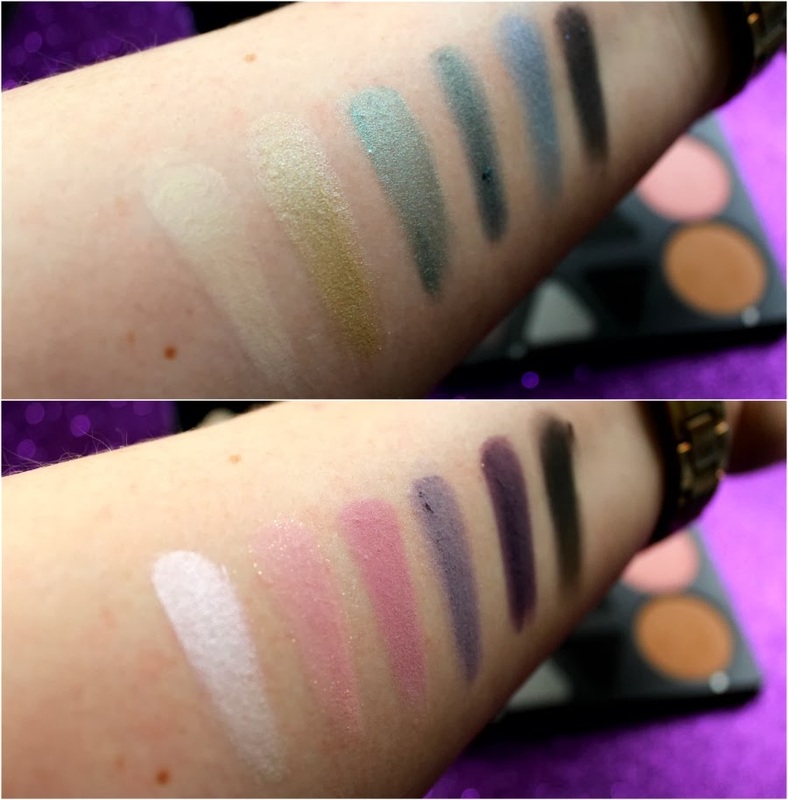 There are many reasons why I blew my entire years Boots points on the Smashbox Wonder Vision Mega Palette, the incredible value (€60 for €332 worth of kit! ), the ease of use, the amazing shade range, the huge & perfectly balanced mirrored lid that can hold itself open or just the fact that when I know it's Smashbox then I know it works. You can find the Wondervision range online from Boots or you could do yourself a favour and pop into Arnott's or larger Boots stores and chat with the gorgeous girls in there. Maybe even book a Christmas party makeover that's redeemable against purchase? That's a win/win plan right there. 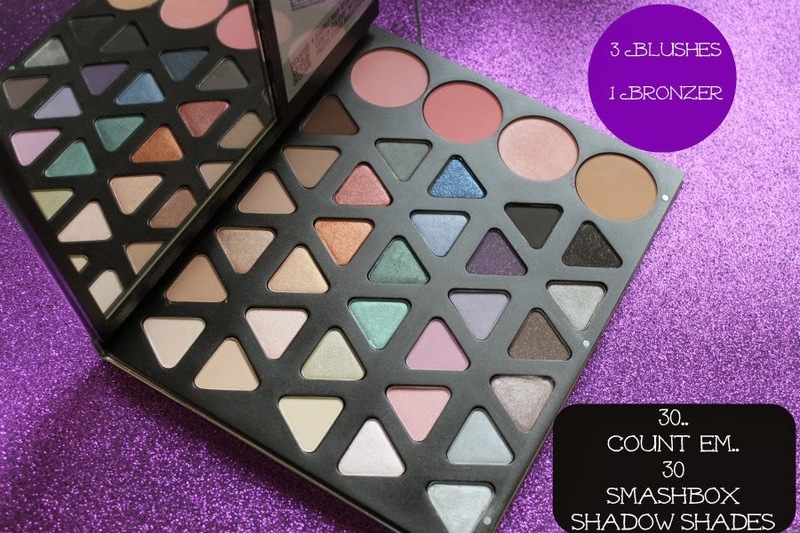 Are you a Smashbox fan? Anything from the Wonder Vision range tempting you yet? 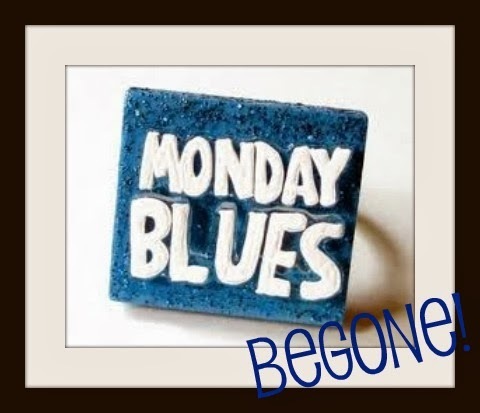 Morning, Monday, you were pretty quick coming around again, weren't you? While stuck on a side road for almost ten minutes, three cars behind, running late and with zero chance of getting out to the main road, we were a bit concerned when the driver in front leapt from his car and ran off. Looking around to see what was going on, (were we to be extras in Love/Hate?) I saw him stop at the pedestrian light for the main road, press it three times and leg it back to his car. 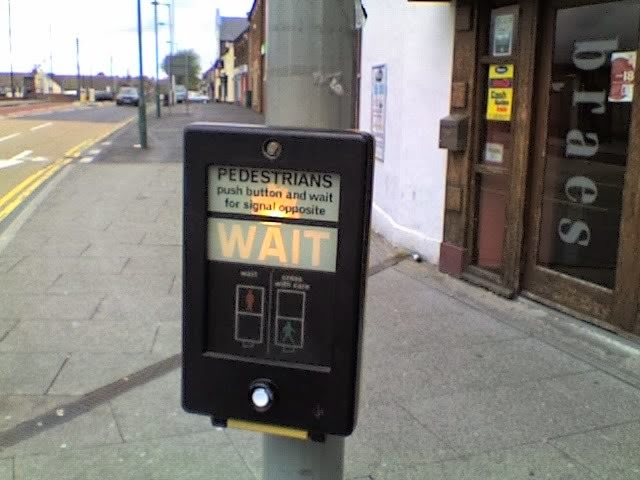 Lo and behold inside of a minute the pedestrian light turned green and we were given a filter. 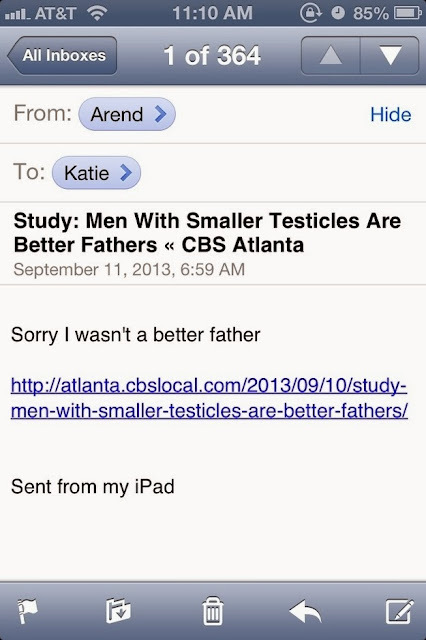 I was aghast, then I was impressed - very impressed. Thank you, random traffic ledgebag! While waiting roadside for a cab last week, the Sis and I weren't paying much attention to the fumbling teens huggin' and a muggin' (sucking face) on the corner. 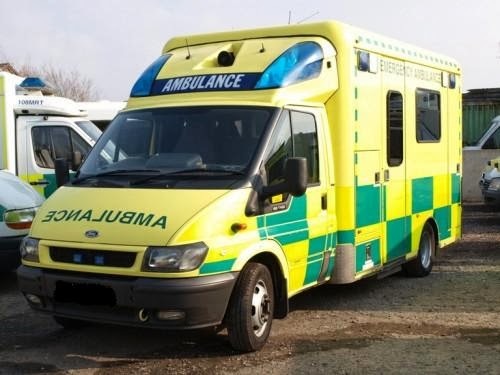 That was until an ambulance approached gave a short sharp blast of their siren and the most Dublin accent I've heard came on the intercom speaker to shout 'GERROF HER!!' 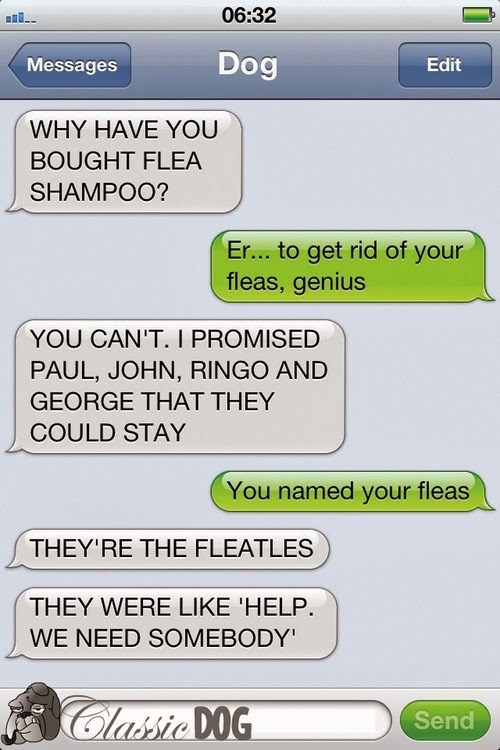 followed by a muffled fit of laugher. I'm not sure who found it funnier, the lads in the ambulance, us watching on or any one of the people in the area at the time - not the poor teens though - 'Scarleh' is not the word! 3. Scarlet for my Own Ma! In the second 'scarleh' related Moment and the second to feature the Sister, this one takes place in Fitzsimon's Hotel where I was to meet her. Running a little late as I missed my stop, I was trying to adjust myself and my heat belt as we left the bar together. 'Are you OK?' she shouted over the live band, 'Ah I'm grand' I shouted back, 'Just feels like I'm wearing a..' *bands cuts out* (I'm still shouting) TENA LADY!'. Seriously, bandy back or not I hotfooted it out of there. Morto. Any true beauty fan will tell you that once in a while (or all the shaggin' time) there comes a product that is so beautiful it invades your mind, haunts your day, seems to be in everyone's collection but yours and basically turns into your obsession until you can feel it in your very own mitts. For me, this past few months, it's been the limited Tarte Off the Cuff Amazonian Clay blush palette. I wasn't going to do a full review as this stunner has already sold out, I managed to get mine through a tipsy eBay purchase (paying €50 with delivery) but should you want to see it (and you should) lemme know in the comments. For now, I kid you not, this precious has been put back into its packaging, ALL of its packaging and I allow myself a little look now and then. I never claimed to be sane when it comes to make up! I mentioned on Twitter a few weeks back that himself (the clever sausage like him) had won a weekend break to a 4* hotel but we were undecided as to where to head. Killashee House Hotel's funny tweets to me and a hearty recommendation from several family and friends made that decision pretty easy. 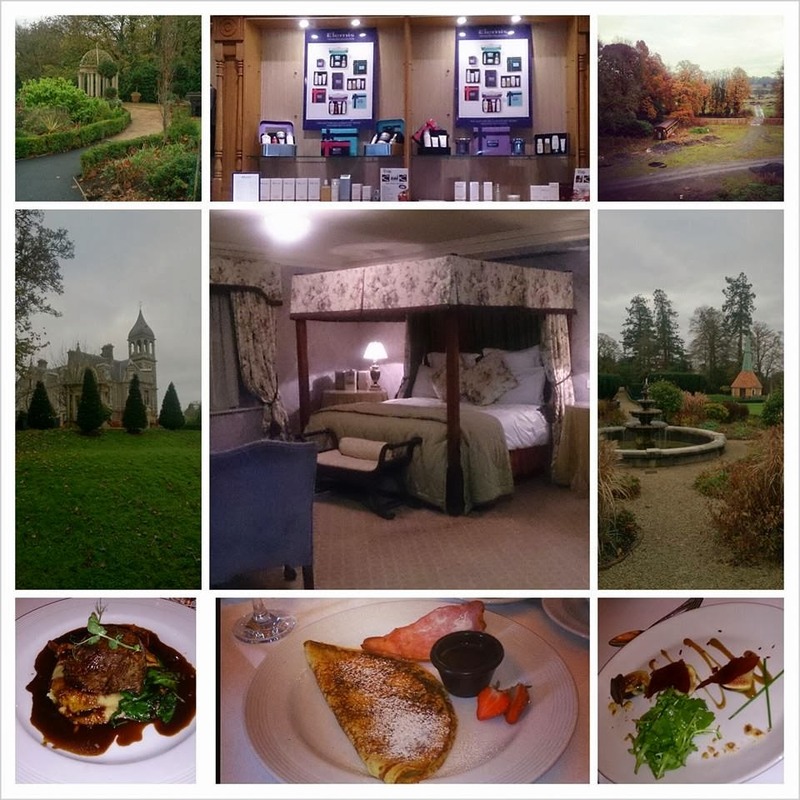 We've literally just arrived home from a weekend of idyllic beauty, opulent surroundings, glorious spa treatments, stunning food and ridiculously friendly staff. I genuinely haven't felt this relaxed or this contented in months, long before my bandy back tales of woe. If you're considering a staycation or even just a tasty lunch, get thee to Naas and Killashee House Hotel. We'll certainly be going back... many, many times. Tell me, what's making your Monday bearable? Any Moments to share? See that up there? 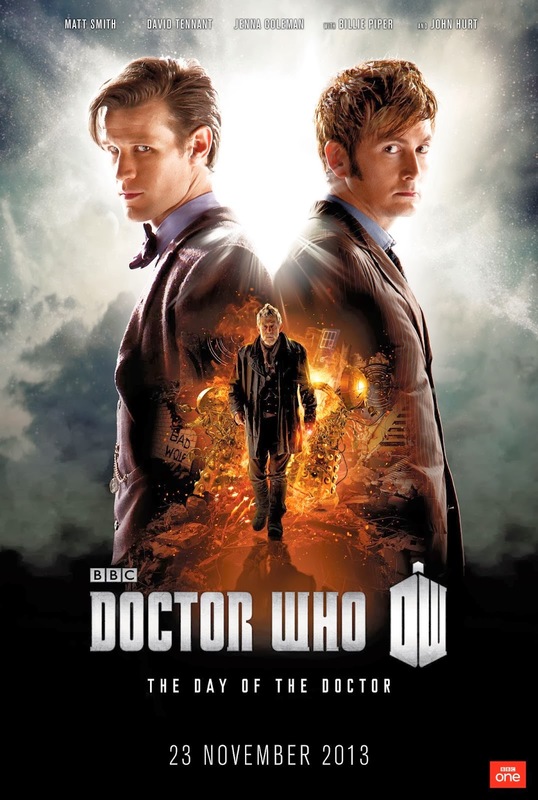 That there has had my heart racing for about two months now, and even though I failed in my quest to watch 5 and a half seasons of Dr. Who in a week (Dammit college!!) it won't stop me going absolutely crazy to see this!! The Day of the Doctor is finally here, and it's going to be magnificent. It has Tennant returning, it has Billie Piper returning, and it looks INCREDIBLE! Finally it seems all Whovians will now see the darker side to the Doctor, the side that seemed to be a part of Eccleston's and was hinted at by Tennant's, and it looks like the Bad Wolf will make a return! Peter Capaldi (an OSCAR winner) will take over the reigns as the 13th Doctor, and looking at his track record and the expectation of what his incarnation will be it should be fantastic! Sadly my personal favourite Doctor, Eccleston, won't be in this, but just watching that trailer has me counting the hours till I can go to the cinema and watch the new Doctor's repressed life come to light in 3D! 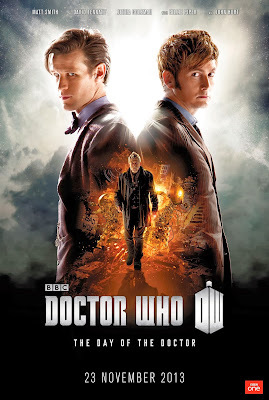 As you can probably tell by this ADHD-like post and everything ending in an exclamation mark, I'm DYING to see this and I'll be watching as much Dr. Who as I can fit in between now and 7:50 tomorrow in preparation for the show. So everybody get your screwdrivers, get your oversized scarves, and get ready to meet the new Doctor! I'm off to find a victim to drag with me, but I will have a review for it ASAP! 1. This list of hilarious Dad Jokes - Cheesy Genius! Oh Thursday, how quickly you came around this week - it was almost as if there was no time for my Jimmies to be Rustled at all - Almost BUT NOT QUITE!! 1. One person false hyena laughing so loud in a restaurant that it disturbs everyone ! AS IF THEY ALREADY KNEW! so they don't have to give up their seat! And with that I can breathe again. Don't forget to let me know what's getting your goat and rustling your jimmies this week - it truly does help to share! 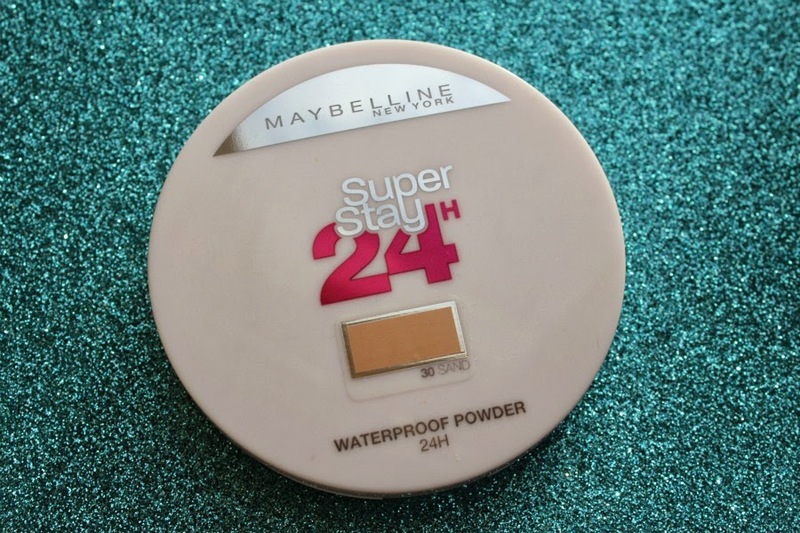 Maybelline Super Stay 24Hr Waterproof Powder - No More Shine in Your Selfies! 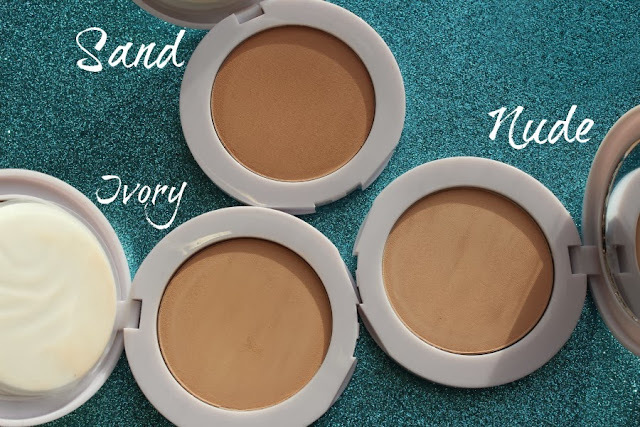 The slicker skinned amongst us will know that to discover a powder that will stay the one colour all day through, while reducing shine and staying in place is a big ask of a beauty product. Luckily Maybelline have been listening to our tales of perspiring woe and have released their Super Stay 24Hr Waterproof Powder and it's a little bit special. Though limited to just three colours (why, Maybelline?! 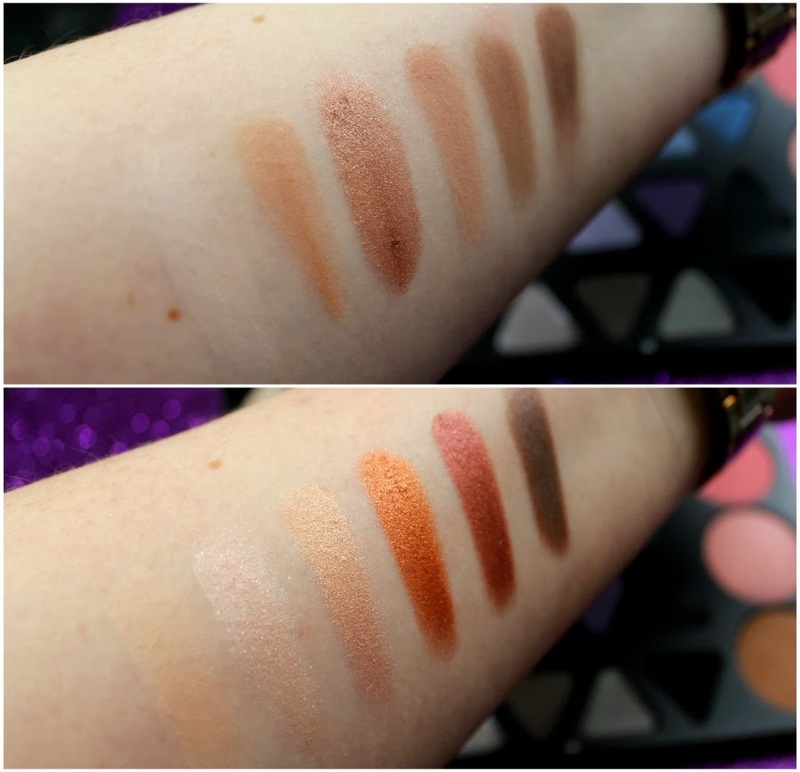 ), the formulation on these waterproof powders is absolutely gorgeous. Marketed by Maybelline as 'Hydrophobic' (it HATES the uisce) it works to create a breathable barrier to outside elements (lashings of rain for instance) but also under the barrier too i.e humidity and sweat, promising not to oxidise, cake or change colour throughout the day. Priced at just €8.99, these 24HR Waterproof Powders are well worth investigating. Ivory is the closest match to my skin and I find it light and comfortable on the skin all day long. 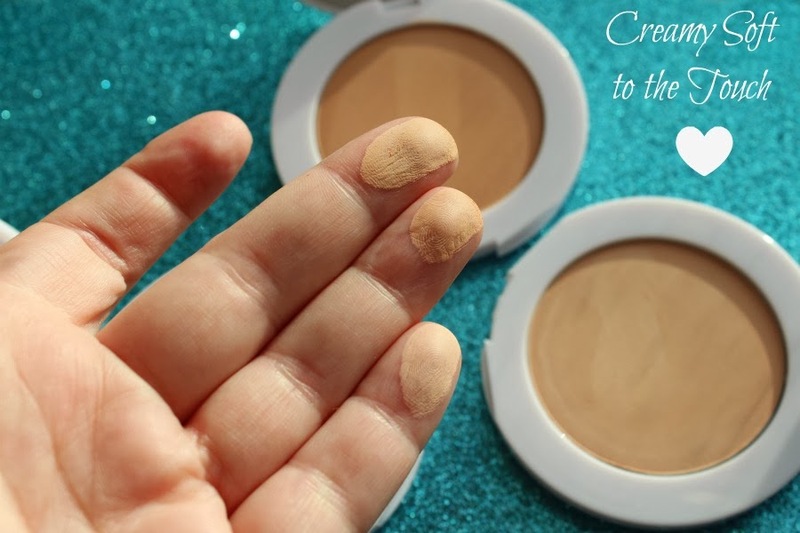 I have been known to throw the little compact in my mála though as during the warmer weather/sweaty bus journeys my T-Zone can turn into a slick war zone and a quick touch up with this instantly helps. Are you a fan of waterproof powders? Think you'll try this one? 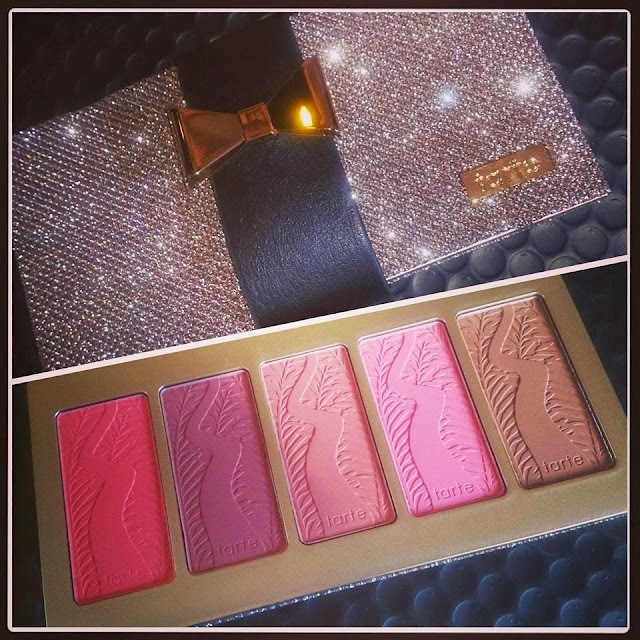 Illamasqua is a brand that I've always been aware of but up until now have never tried. 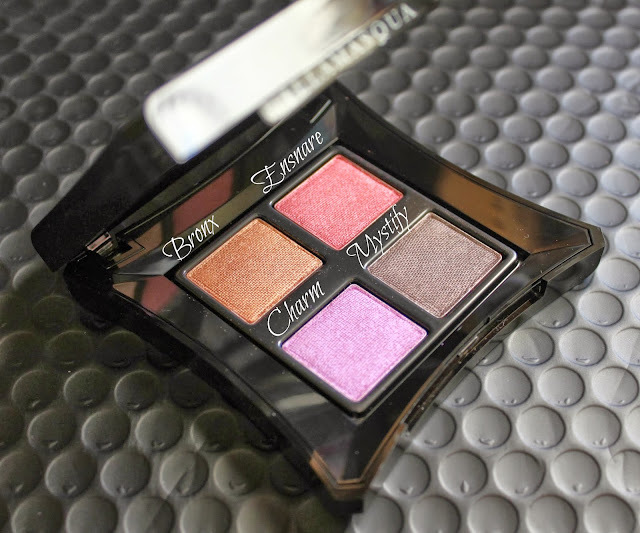 I find that baffling, especially now since I've popped my Illamasqua cherry with the Fatale palette from the Envy Holiday 2013 Collection and have fallen immediately and irrevocably in love with it. I first caught glance of the Fatale palette on Instagram last week and knew immediately it had to be mine. 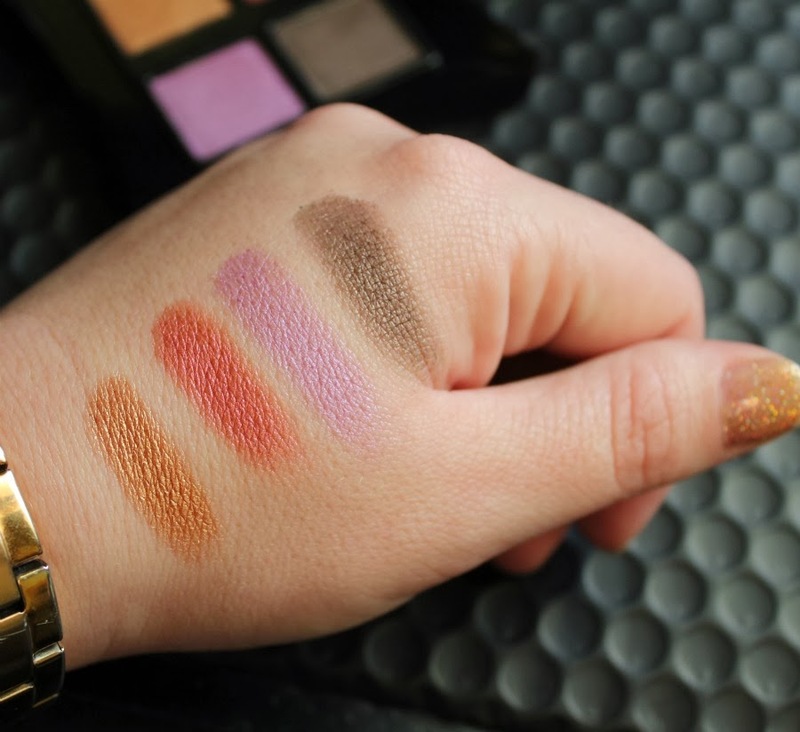 I'm a huge fan of golds, purples and soft browns with my blue/green eyes but add in a softly shimmering cranberry and I'm sold and I was for €40.56. The shadows are velvety soft to the touch with little or no fallout and blend beautifully together for some of the most flattering eye looks I've managed to buff onto myself in a good while. 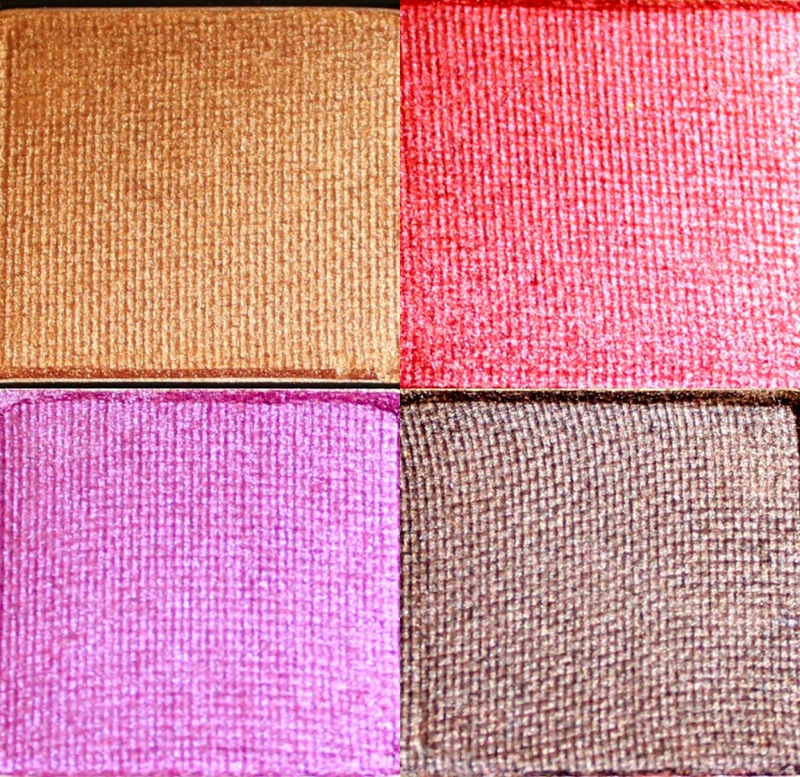 All shades are standalone beauts but it's the combination of the four that really brings this palette to life. She makes it look so easy, right? 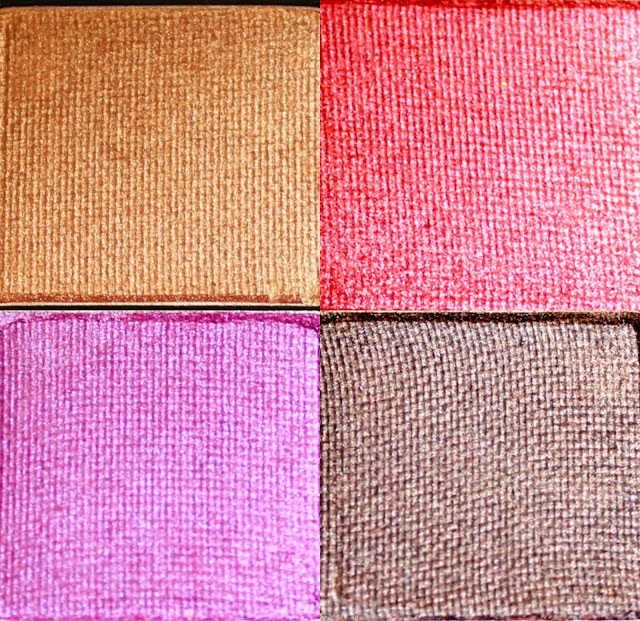 Truth be told, this buttery soft shadows are just that easy to work with. I know I'll be attempting Rose's look this Thursday for a night out (sitting) at the Lumineers but I can see the Fatale palette featuring heavily in many looks this season and into the next. Truthfully I'm not sure why it's taken me so long to get into Illamasqua, even more truthfully, I'm now afraid to look at the rest of their site! You'll find the Fatale palette, along with the rest of the Envy 2013 Holiday collection on their site here or in store in larger Debenhams shops - I thoroughly recommend it.